Hi lovely crafters. This is probably my last coffee card for the Spring/Summer coffee lovers blog hop. 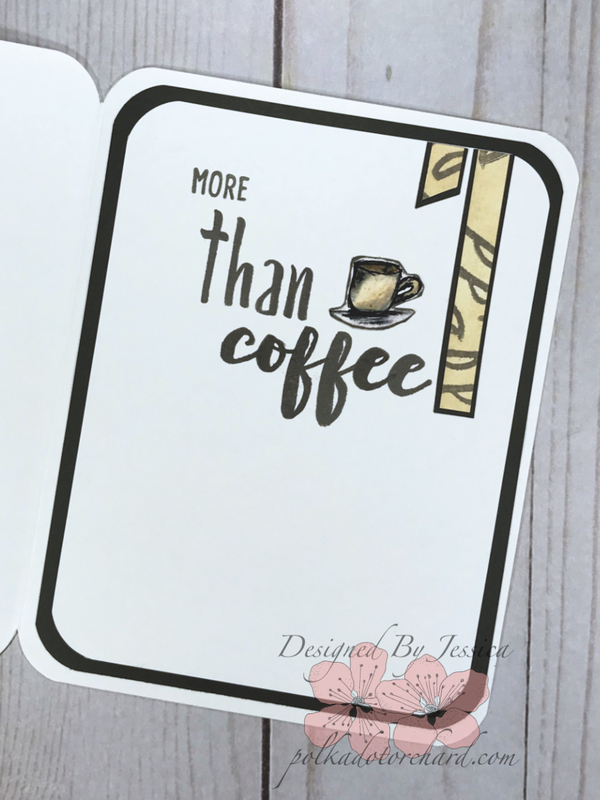 I’m not only hopping along with the other coffee lovers, I’m also playing along over at Honey Bee Stamps for their masculine/Father’s Day card challenge. and So Suzy Stamps Masculine Challenge. 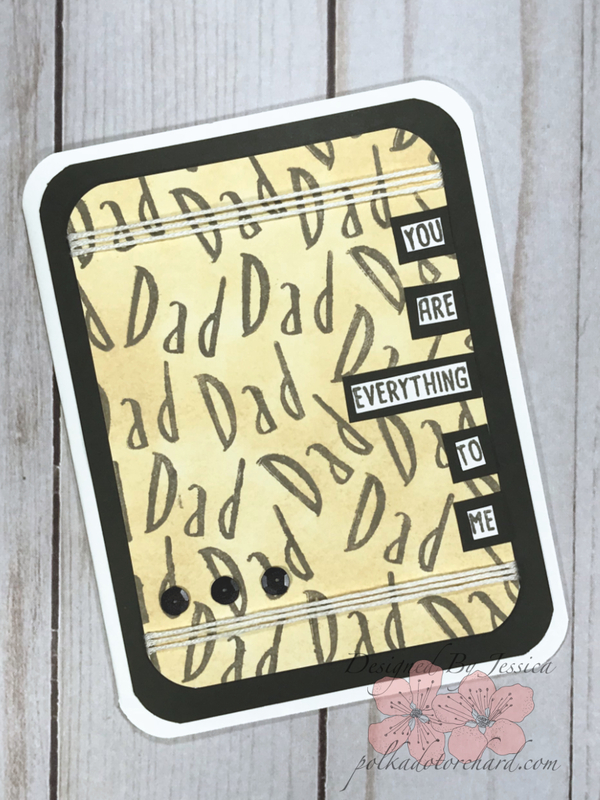 I tried to make this card quick and easy so I stamped the word “DAD” all over a piece of Neenah Solar White Cardstock in Versafine Smoky Gray. Once I was sure the ink was dry, I added Tim Holtz Antique Linen to it using a blending tool. Okay, “now what do I do with it” a question I was asking myself. I’m very limited on coffee stamp as well as masculine stamps. It took me a very long time to figure out how to finish this card and have it still look somewhat decent. I ended up going with mostly a word bass style card with only one small accent image on the inside. The little coffee cup on the inside I actually drew myself. As for the words used they are from the honey bee sentiment stamp sets and alphabet sets. The words were not enough and it needed to be jazzed up just a little. I wrapped some embroidery floss around the top and bottom of my “DAD” stamped panel. Even though this is a dude card I finished it off by adding a few dark gray sequins to the front. oh how fun, great masculine design! Very cute! Great man card! He’ll love it! Perfect for masculine theme, love it! Yup, Dads need coffee too. This is fabulous! Cute fathers day card. Know he will love it. Awesome card for your Dad! I need to get one made for mine – thanks for inspiring! Great masculine Father’s Day card. Love how you did the inside of the card. That is a wonderful Dad Day card. Gorgeous masculine card! Love it! Now this one is just plain old FUN!!! So CUTE! Such a great card for a dad. Thanks you for joining our challenge at Crackerbox & Suzy Stamps. Your card is a great example of how to use sentiment stamps for great impact! Great card for Dad! Thanks for linking up to Crackerbox & Suzy stamps challenge – hope to see you at the next challenge! Love the clean and simple layout of the card! Thank you for playing along in our Crackerbox and So Suzy Stamps challenge!